On behalf of a reader of this blog and someone I've had the privilege of crossing paths with on several occasions in the past, I am helping to get the word out about a unique training opportunity for budding fashion designers! The Modest Fashion Guild will be hosting its 2017 Conference on Clothing Design and Entrepreneurship April 21-22 in Austin, TX. We care about quality of design and smart business practices, and we don’t think Christian designers need to compromise their values in order to learn these essential skills. It’s our goal to create a community where innovation thrives and where Christ is at the center of everything we teach and do. Through conferences and design challenges, we strive to educate self-taught designers about owning a home-based or small commercial clothing line, and to cultivate a community of creative entrepreneurs glorifying God through their work. Our strategy is simple: advance modesty in the clothing industry by reaching out to seamstress-entrepreneurs who share our vision and need help starting or expanding their businesses. We have assembled a stellar team of designers and business owners to speak at our upcoming conference–April 21-22, 2017 in Austin, Texas. Our amazing group of instructors will be teaching about Finding a Niche on Etsy, Marketing, Crafting a Business Plan, Styling Outfits for a Photoshoot, and a host of other topics. 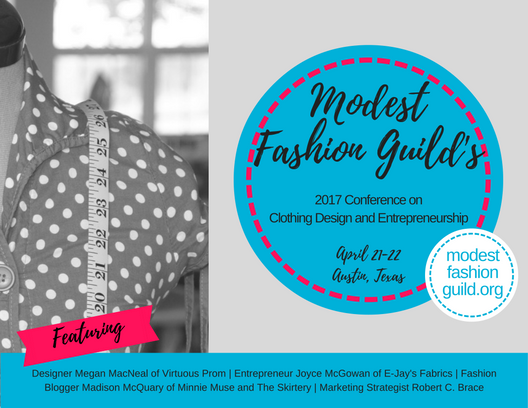 Speakers include designer Megan MacNeal of Virtuous Prom, entrepreneur Joyce McGowan of E-Jay’s Fabrics, fashion blogger Madison McQuary of Minnie Muse and The Skirtery, and marketing strategist Robert C. Brace. 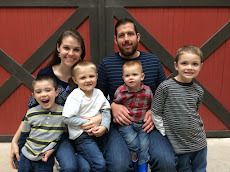 Attendees from our 2015 conference noted the “casual, family atmosphere”, “engaging speakers”, “relevant topics” and “ability to ask questions” as some highlights of the experience. We are looking forward to offering more of the same in the spring--God has faithfully led us to just the right people and has opened door after door for us in order to host these conferences!